You need to consider the tasks that you need to perform on the computer on the initial basis. If you want to purchase it for simply surfing the internet and making use of some internet services, then it may be the best option to purchase a single core computer that meets your smallest amount of requirements. While on the other hand, utilizing it for professional work and heavy video editing, then it could be better to get a system that has improved multimedia options. Users with the smallest amount of needs might be better to buy a Windows Home Premium or Starter version like Windows 7. For consumers, who are interested to get the benefits of more improved features and need more efficient tools like connecting their computers to a domain are better to get an Ultimate or Professional edition. 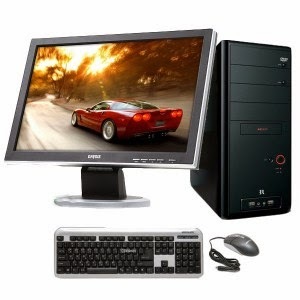 Several persons prefer to purchase laptops for a superior display screen, while other like portable and smaller sizes. If you are installing a server that will be put in a server room, then the considerations of the size will not matter as big servers with multiple SCSI drives are generally quite large. While, for people with low eye visions a laptop with a bigger screen may be worth the cost. The considerations of the hard disk could not mean much to an illiterate user; nonetheless, getting the correct amount of disk space and the type of the disk may be the essential for the effective management of normal tasks for an expert. An ordinary consumer might only need to decide between purchasing a 320 GB or 1TB hard disk system, but an IT expert might need to decide between a SATA and SCSI drive. Managing space between different partitions is also a key to manage storage. There are many free partition manager software’s available and the best one I would recommend would be partition magic. You can download partition magic online. Both these are two important elements of a computer. There are not a lot of applications recently obtainable that can get the benefit of DDR3 RAM kinds, one might be better to save several dimes of purchasing a system with DDR2. Different types of processors are available in the market that you can opt for.